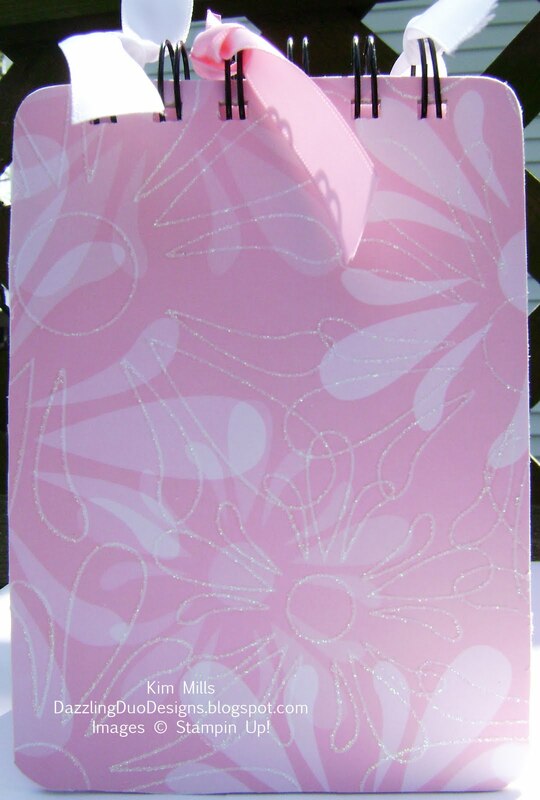 Here is another notebook with Sending Love Designer Series Paper #117153. Plus I added 5/8" Satin Pretty in Pink Ribbon #117289 and White Ribbon #114616. I love this paper!!! It has special shimmer embossed on it!! !